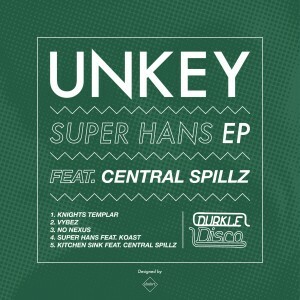 Durkle Disco is proud to unveil its latest project, the ‘Super Hans’ EP from debutant Bristol-based producer Unkey. Like a monkey, but without the ‘M’, little is known about the mysterious creature who responds to this name, but whispers tell of an astonishing musical talent who, after years of toil and preparation, is finally ready to emerge from his simian lair and reveal himself to the world. 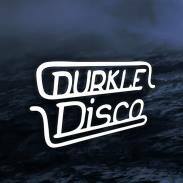 Growing up on a diet of not just bananas, but drum & bass, grime and dubstep, Unkey’s sound is a high-octane amalgamation of the many strains of UK bass-centric music, at a steady, groove-ridden 140 beats per minute. This hugely varied five-track EP reflects all of this, presenting four contrasting sonic textures and boldly announcing the arrival of a serious talent. Currently hard at work on his next releases in his studio in the depths of St Pauls, Bristol, expect to be hearing much more from Unkey in the years to come – and remember where you heard him first.